Revival is a nod to Chef Kevin's formative years, offering a proper version of the traditional Sunday dinner. 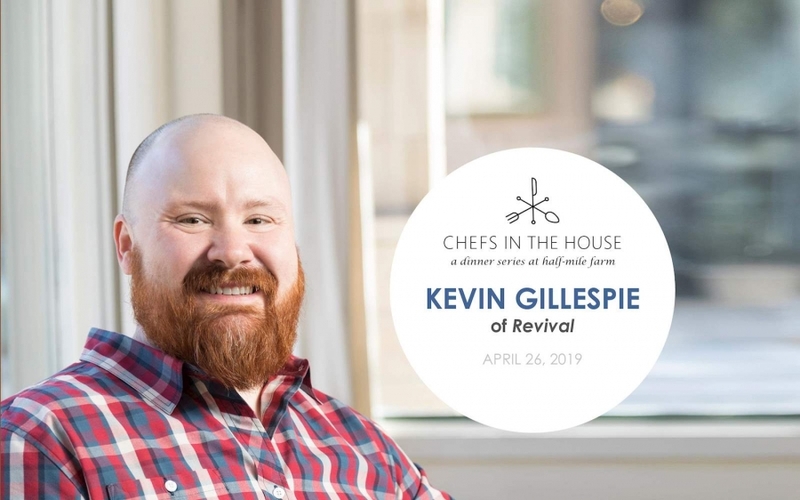 Following Kevin's allegiance to Southern cuisine, Revival focuses on farm-fresh ingredients and a dining experience that reflects the traditions his own family follows. The restaurant's menu is a reinterpretation of what one would find at Gillespie's grandmother's house: a classic, Southern spread that features farm-fresh ingredients and also showcases refined culinary techniques. When guests dine at Revival, they will feel the importance of sitting down and sharing a meal with loved ones - the same traditions that Gillespie's own family held dear, and that we honor at Half-Mile Farm. Gillespie was a finalist in the sixth season of Top Chef, Bravo's cooking competition show and was voted as the "Fan Favorite" contestant for the season.